Buying at RM0.00 per pc. 【A】 When this card is placed on Stage from Hand or through the effect of 「前線への復帰」, you may place the top card of your Clock into Waiting Room. 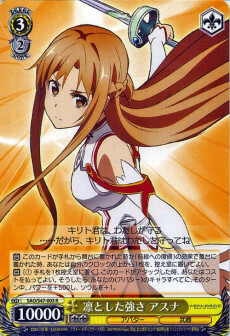 【A】［① Place 1 card from Hand into Waiting Room］ When this card attacks, you may pay the cost. If you did, all your 《アバター》 Characters, during this turn, it gets +500 Power, +1 Soul.